Why not combine beauty and functionality by adding a gorgeous white storage bench to your bedroom? Why a storage bench? Why white? 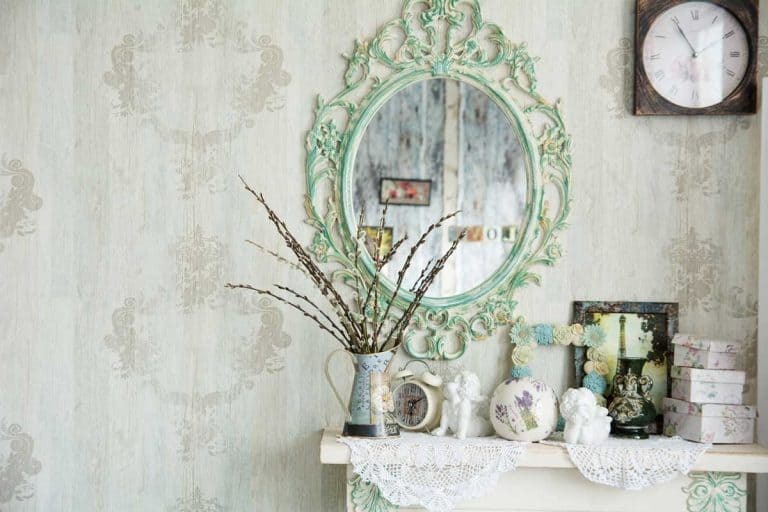 Let’s talk about that for a bit and then offer you 14 gorgeous examples of these beauties, discussing how you can work them into your current bedroom decor. Bedroom storage options – can’t have too many! The bedroom is one of the most personal spaces in your home. Second only to the bathroom. 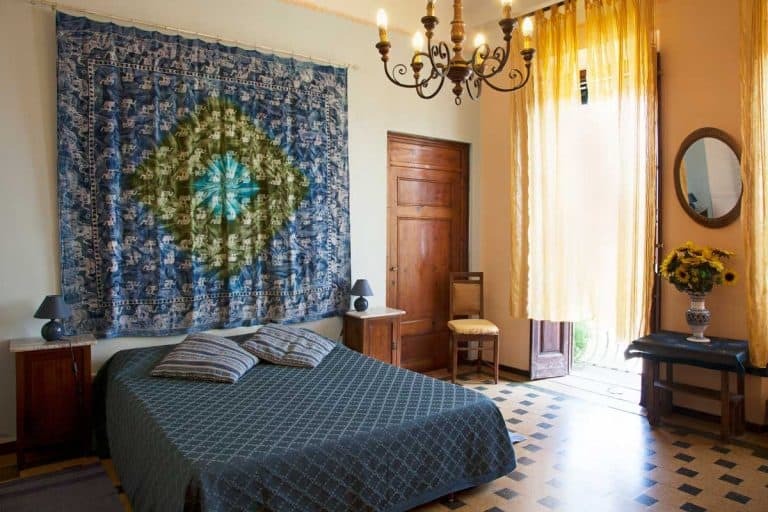 For most of us, the bedroom is where we keep our clothes, personal effects and anything that’s related to our sleeping habits, such as linen and extra blankets and pillows. These items require adequate storage space, to keep your bedroom looking tidy and well-organized. Storage benches are a great piece of furniture that does exactly that. These units are small enough that you can move them around the room for the best functional and decorative purposes. And by choosing a white one, you can work that storage bench pretty much into any room design theme. 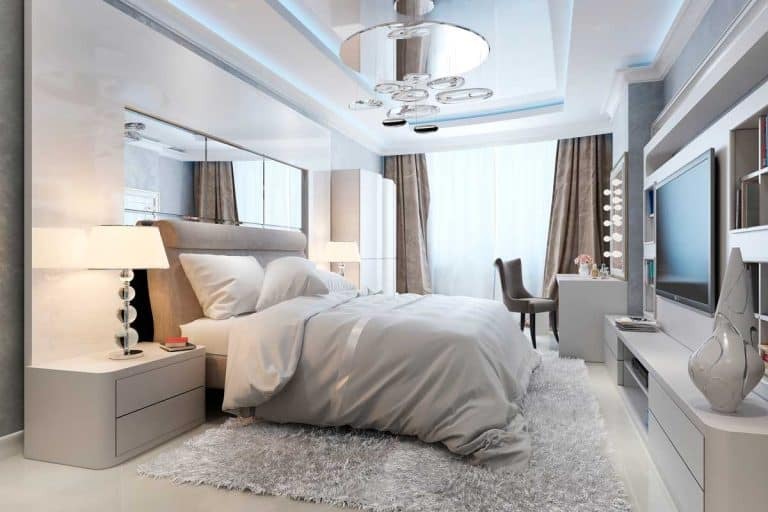 White is always a great color to have in the bedroom and it lends itself extremely well to various setups and color palettes. Of course, these benches come in a multitude of designs, sizes, and materials. That’s why we handpicked for you some great options – to help inspire you to get the best possible bench for your bedroom! From its lovely wicker finish to the off-white solid luster, this storage bench will make a lovely addition to your bedroom. If you want to elevate your room in an instant, without making too much of a statement, then this could be the bench you need. The wicker patterns are sandwiched between the shiny white borders. The bench doesn’t have much in the way of an ornate pattern. It allows you to remain closer to the Scandinavian designs and stay as minimal as possible. We were impressed by the adorable knots that are a nice touch indeed. Click here to but this elegant storage bench. If you’re partial to cushioned benches with minimalistic designs and straight fine lines, then you will find this bench to be just what you need. It features 2 generously large cubbies that will provide lots of storage space to all your accessories, including clothes, bed sheets, and other items. Both cubbies are separated by a white wall to help you categorize all your stuff with ease. The cabinet door gently slides down, supported entirely by spring hinges. These hinges are highly durable and built to withstand rough usage. This full-size bench does come with comfortable cushions, and although we wouldn’t recommend this product purely based on the cushions, it is a welcome addition. Click here to buy this bench. This storage bench offers additional storage space than the previous product on our list in the form of one more cubby. It features an open storage design, which makes it more aesthetic than functional. The white finish impresses by glowing in a brightly lit area, enhancing any architectural elements you have in your bedroom. Unfortunately, there are no fabrics or upholstery included with this item, and it is as bare as storage benches can get. But this doesn’t have to be a bad thing; you can easily pair just about any kind of room with this off-white storage bench. There are absolutely no patterns on this storage bench, which should appeal to rooms with minimal decors. 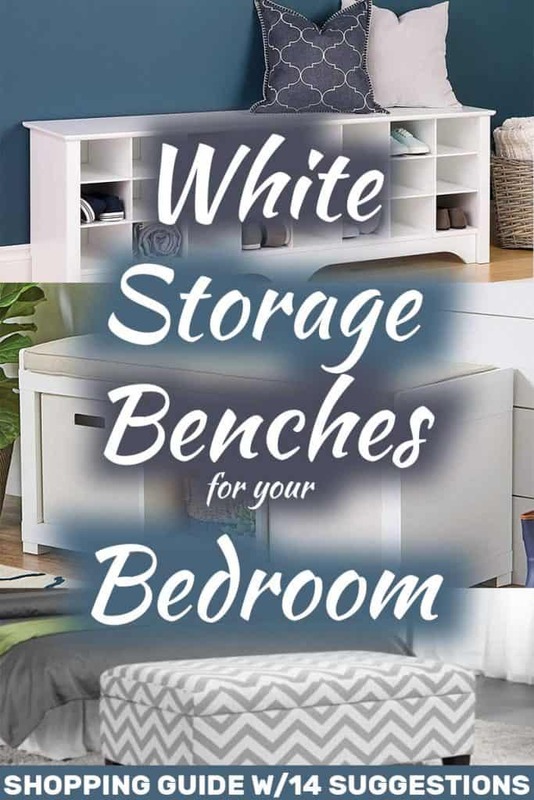 Click here to buy this white storage bench. This white storage bench has been designed with both functionality and aesthetics in mind. It features three racks, each separated by white shelves, allowing you to arrange things by their category. The three compartments allow you to make the most out of storage space. Furthermore, the high quality of wood guarantees durability and longevity. This product is here to stay a long, long time. You can’t go wrong with this purchase. Click here to buy this storage shelf. HomeK-, the company behind this feature rich storage bench, has given precedence to functionality but without compromising on design elements. We’re talking about the two beige wicker storage baskets, and these removable boxes help you compartmentalize your accessories. The storage bench is a mix match between open and closed spaces, allowing you to showcase your favorite items out in the open by arranging them neatly on the second row, while the things you would rather keep out of sight can be stacked away into the third row. To top it all off, this feature rich storage bench comes with removable padded cushion, in case you want to take a break from arranging your items. We were impressed by the weight capacity of this storage bench, which can be pushed as far as 300 lbs without compromising the structural integrity of the storage bench. Click here to buy this white bedroom bench. The third item to feature on our list by HomeK features white gray upholstery with elegant velvet patterns throughout. The texture is soft to the touch and feels generously plush. The subtle geometric pattern instantly draws your guest’s attention, but if you don’t want this storage bench grabbing all the attention, you can just as easily slide it under your bed – if it is big enough. There’s only one cubby here, but it offers ample space. The padded seat is installed for convenience, but its colorful stripes are deliberately added for good measure to enhance your bedroom’s décor. The white embossed wood adds more beauty to your room, and the straight lines should go well with contemporary Scandinavian designs. This little beauty has a bearing capacity of 300 kg, which attests to the durability of the wood which is made using environmentally friendly materials. There really is no reason not to adore this tiny storage bench. AB-Land, the company responsible for this giant storage bench wanted to go the extra mile when it comes to offering ample storage space. There are 18 cubbies that offer ample storage space for just about anything. The open space arrangement of the cubbies means that you should only store items that are aesthetically pleasing. With this beautiful storage bench, you won’t eve have to worry about bedroom clutter. Love this elegant 18 cubby storage bench? Click this link to buy it on Amazon. This storage bench takes advantage of tonal variations of white. So you have off-white partnered up with a blend of gray white, the predominant color palette that makes the meat of the storage bench. One open space cubby is sandwiched between two closed space cubbies to add a more visually striking pattern. A padded seat at the top finishes the overall look for convenience. The artist made good use of white to make this storage bench as versatile as possible. The off-white wood exterior is durable enough to last several years without showing wear and tears. If you like this storage bench, click here to purchase it. This storage bench takes advantage of the universal compatibility of white and gray colors that contrast against each other to reflect a beautiful chevron pattern. The storage bench will make a stylistic addition to most interior decors while maximizing storage space. You won’t have to worry about running out of storage space or clutter becoming a problem any time soon. It may not look like it, but the storage bench comes complete with a conveniently comfortable padded seat. Perhaps more impressive is the use of dark wooden legs that can keep up with your storage requirements without crushing under the burgeoning weight all the stuff. If you’re impressed by this storage bench, you can learn more about it here. This storage bench makes use of ‘normal’ drawers and partners them up with wicker-patterned compartments at the bottom. The rustic appearance of the bottom two cubbies starkly contrasts against the off-white drawers. This unique piece of furniture combines traditional and natural looks to provide one of the most functional storage benches ever made. The solid wood is made with high quality environmentally friendly materials and is designed with longevity in mind. You won’t have to worry about corrosiveness compromising the structural integrity of the storage bench any time soon. This bench can help you spruce up your bedroom by adding significant architectural appeal in the form of five cubbies. The arrangement of each cubby is what helps this storage bench stand out. There is one large cubby at the center which is sandwiched between two open space cubbies on either side. There are several ways to store your items in an aesthetically pleasing way. Finally, the gray padded seat is the cherry on top. Click here to buy this elegant storage bench. This storage bench features three different cubbies, one of which is a drawer while the other two are open space. The storage bench is made with durable wood that has an off-white appearance, complete with a padded cushion on top. It may not offer much in the way of storage space, but it certainly adds subtle details to your room. The durable material will last for long and will withstand rough usage. Click here to buy this storage buy. If you don’t like patterns at all, then this storage bench could be just what you need. There are three cubbies that offer ample storage space to help you declutters your bedroom. You could choose to store your shoes or other items such as blankets and other accessories. Meanwhile, the brown cushion strongly contrasts with the white storage bench, a nice touch that adds some extra appeal. The storage bench is highly resistant against water, moisture, and is completely machine washable. So if you want something simple that is elegant and functional, then this product is for you.